A rare opportunity to purchase a stunning 3 double bedroom lateral ground floor flat within a secure, gated converted Victorian property that was originally used as a sweet factory by Harrington's. 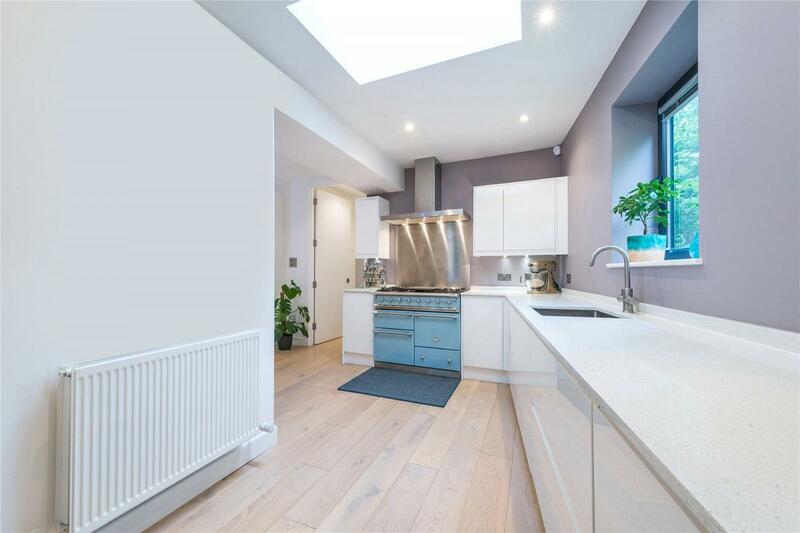 The property is beautifully presented having recently undergone a meticulous renovation throughout to a high specification. Accessed via gates on St Thomas's Road, the property is set back behind a row of terraced houses providing much valued privacy and quiet. The apartment overlooks the functional communal courtyard and the leafy Quill Street allotments. A spacious dual aspect open plan contemporary kitchen and sitting room are flooded with natural light. Designed by local architect Nyla Hussain, the living space has been transformed to flow elegantly throughout the property, utilising large full height doors to enhance the sense of light and space within the property. The master suite includes a luxury en-suite walk-in shower room and dressing room. There are 2 additional double bedrooms, a family bathroom and a separate utility room providing ample storage. The property features engineered wood flooring, wool carpets, wooden shutters, LED lighting, Hive central heating, underfloor heating in both bathrooms and high quality fittings from exclusive brands Hansgrohe, Duravit, Britta and Lacanche. Located conveniently for access to the lovely independent shops and cafes of Highbury Barn, Blackstock Road and Stroud Green Road. The trendy areas of Church Street, Crouch End and Upper Street are also within walking distance. Popular schools, Ambler, Gillespie, St John's Highbury Vale and Highbury Fields School are all minutes walk away. There are plenty of nearby green spaces to suit all tastes with the expansive Finsbury park, upmarket Highbury Fields, family friendly Clissold Park and the award winning nature reserve Gillespie Park. The property boasts superb transport links via the Victoria (Night Tube), Piccadilly, Overground, Great Northern/Northern City and Thameslink lines, provided by nearby Finsbury Park, Arsenal, Drayton Park and Highbury and Islington stations. Door to door- Oxford Circus is 20 minutes, Kings Cross 15 minutes, Covent Garden 20 mins and Moorgate 20mins.